For the second consecutive year, Citizens Bank partnered with the Military Warriors Support Foundation (MWSF) to donate a renovated, mortgage-free home to a veteran and his family. This year, retired U.S. Army Staff Sergeant John Blizinski, his wife, Nicole, and their son were presented the keys to their new home in Livonia, Michigan, on May 7, 2016. To follow the Blizinski’s complete journey home, click here. Citizens Bank’s Consumer Banking Vice Chairman Brad Conner and Brandi Glover of the MWSF thanked Blizinski for his service as a combat medic in Afghanistan from 2009 to 2016. During his deployment, Blizinski sustained several injuries and was awarded a Purple Heart, Combat Medic Badge, Army Commendation Medal, Army Achievement Medal, Valorous Unit Award, Army Good Conduct Medal and several other awards. His wife, Nicole, was awarded the Order of St. Joan D'Arc - the highest honor given to a cavalry spouse - for her support of our military and its traditions during John’s deployment. “We’re incredibly proud to be able to offer our military warrior and his family the security of a permanent home,” Conner said. 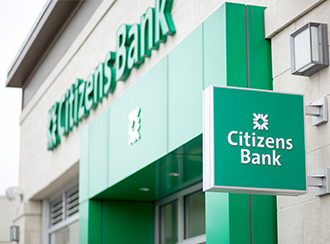 In addition to supporting our military Citizens transition to civilian life, the Citizens Bank credo encourages colleagues to be great Citizens by getting involved in their local community. Michigan colleagues were invited to participate in several volunteer events to help prepare the home for the Blizinski family, just as Citizens colleagues did for last year’s renovated home recipient, retired U.S. Army Specialist Joshua Bacon and his family. Colleagues throughout the entire Citizens footprint also had an opportunity to participate in a virtual housewarming through an online giving portal. The donations collected through the portal were used to help furnish the home for the Blizinski family – all that’s necessary to turn this house into their home. 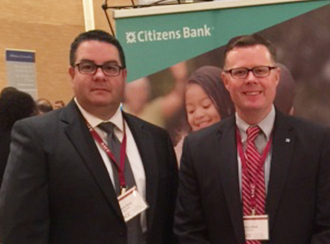 Discover more about life at Citizens Bank and our work in the community.